This is about the third time I've read this book, but the first time giving a review. My rating is based upon this reading. I loved this book as a child and it always held special memories for me. I read it aloud about 17 years ago to one of my sons and I enjoyed it well that time also. It makes for a fine read-aloud and I got caught up in my listener's enthusiasm. 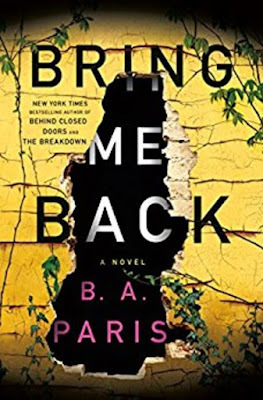 This time though, reading independently as an adult I found the story somewhat slow, more of a romance than I had remembered, with a quiet plot yet extremely well-written and an easy read with flowing language. 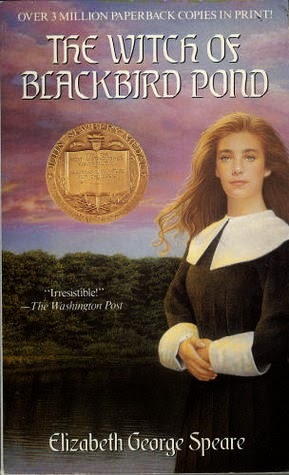 Despite the title, the book does not take place in Salem nor have a genuine plot about the Puritan witch trials. However, the fear of being thought a witch is always present in the background of the story and this is brought to a climax in one chapter close to the end. But also running through the book are themes of politics, especially the British annexing of Connecticut to Massachusetts and Connecticut's desperate plight to hide their Charter until they could rise again and fight those in England who wished to rule them from afar. Finally, the main plot centres around an outsider, her difficulties with fitting in, and most importantly the triangular love affair between 3 girls and 3 men who learn along with some painful moments, who each really loves and who is whose soul mate. A sweet, slow-moving, yet captivating historical fiction.